. selectionChanged: Called when the active record changes – Similar to the datasource active method.
. setButtonEnabled: Should be overridden to dynamically enable/disable buttons based on the current selection. This is called from the selectionChanged method.
. setButtonVisibility: Should be overridden to show/hide buttons when the form first opens. This is used more to do a one-off layout adjustment based on system configuration/parameters, as well as the menu-item used to open the form. eg If you have a menu-item that opens a form based on status, you may want to hide the relevant ‘status’ field to reduce clutter. Scenario: Add a few fields or buttons to a list page and making it visible/invisible depending on certain conditions. 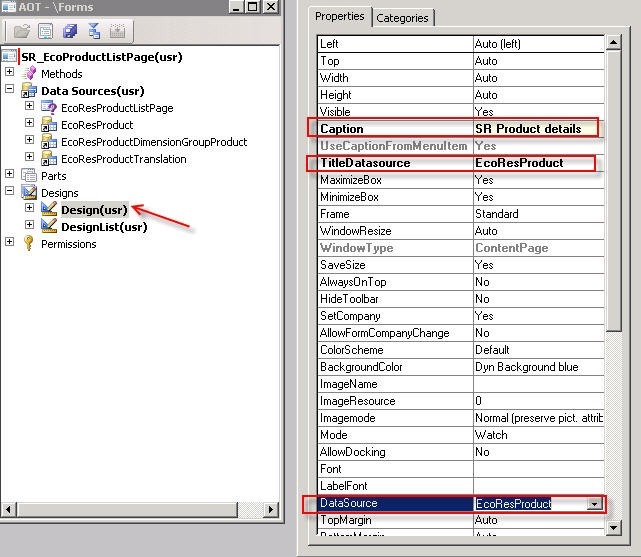 No more possible by writing code on the same form since addition of methods is no more possible in case of LIST PAGES. We have an interaction class for all the list pages. 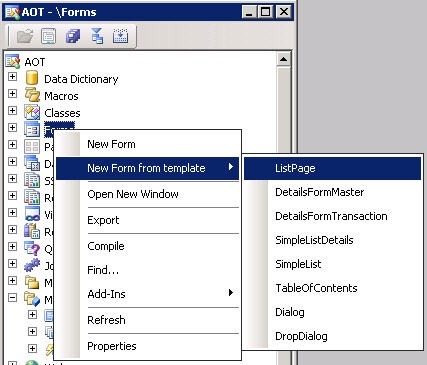 Taking the example of form -> SalesTableListPage for which the interaction class is -> SalesTableListPageInteraction. Ax client forms can easily be published to enterprise portal by the new feature from the Menu item >> Deploy to EP. Change the Name of the newly created list page to SR_EcoProductListPage as shown below. Next, Go to Design Node >> and give the caption, title data source as shown below. Next, On the grid set the data source as EcoResProduct as shown below. Drag and drop some fields on to grid from the Data sources >> EcoResProduct. 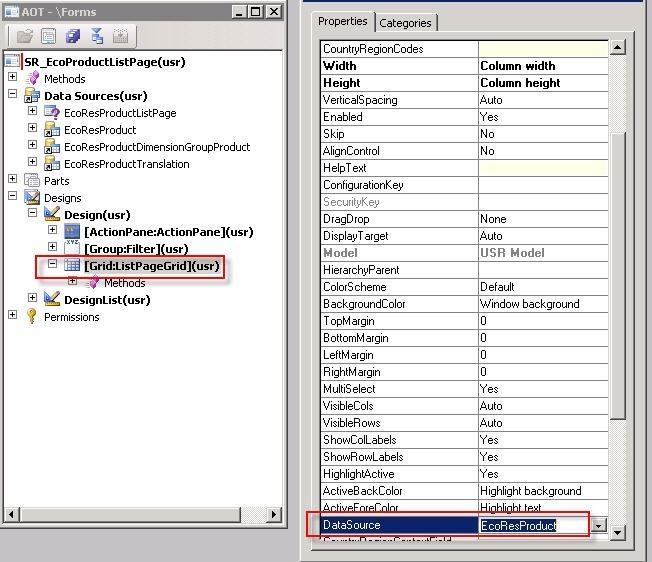 I have dragged and droppedDisplayProductNumber and ProductType fields on to grid as shown below.